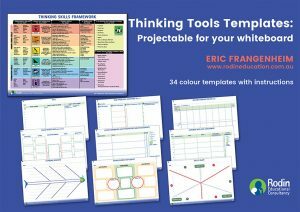 The e-book of Eric’s best-selling teacher resource of 35,000 copies, Reflections on Classroom Thinking Strategies: How to create your thinking classroom with 42 practical and engaging thinking tools, is now available to buy. 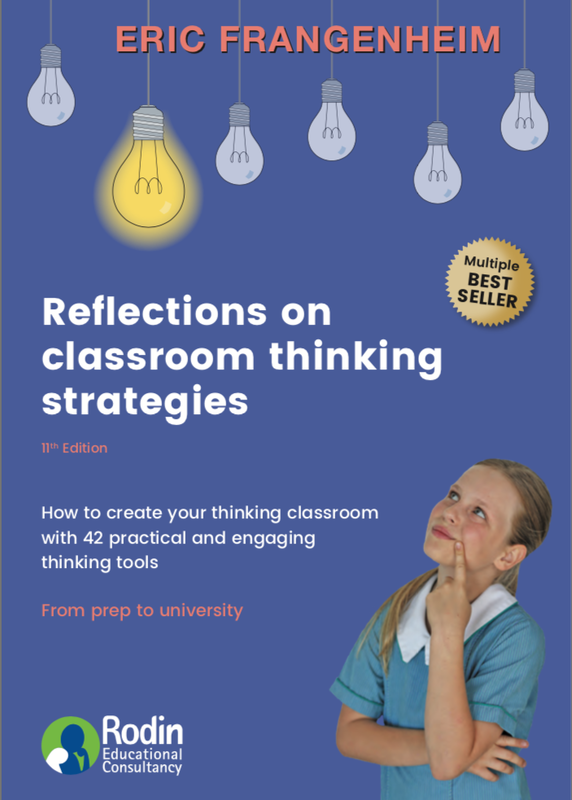 Eric’s Reflections on Classroom Thinking Strategies has sold 35,000 copies and remains a trusted and inspiring resource for teachers from Prep to University. A highly practical guide and motivational read, Reflections will help every teacher and leader feel more confident in weaving thinking tools into everyday learning to create their thinking classroom. Everything in this book was forged and tested in the classroom. It is a book about teaching, by teachers, for teachers. It is designed to encourage passion for teaching with an eye on that important ingredient called FUN! 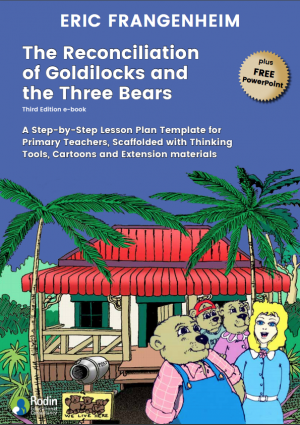 Reflections shares Eric’s favourite thinking tools with step-by-step guides to apply them to any classroom task and environment, no matter the subject, year level or student’ proficiency. Reflections also shares Eric’s classroom observations and advice for motivated educators, taken from his experience over 25 years working as an educational consultant in classrooms, staff rooms and workshop settings across Australia and New Zealand. Prior to his consultancy work, he worked as a history teacher for 20 years. Eric’s Thinking Skills Framework is at the heart of his work, and in this book he shares how vital this structure is for explicit teaching and for enabling students to be proactive, independent and vibrant thinkers. Eric will show you how to embrace this Thinking Skills Framework and make it the core of your lessons. 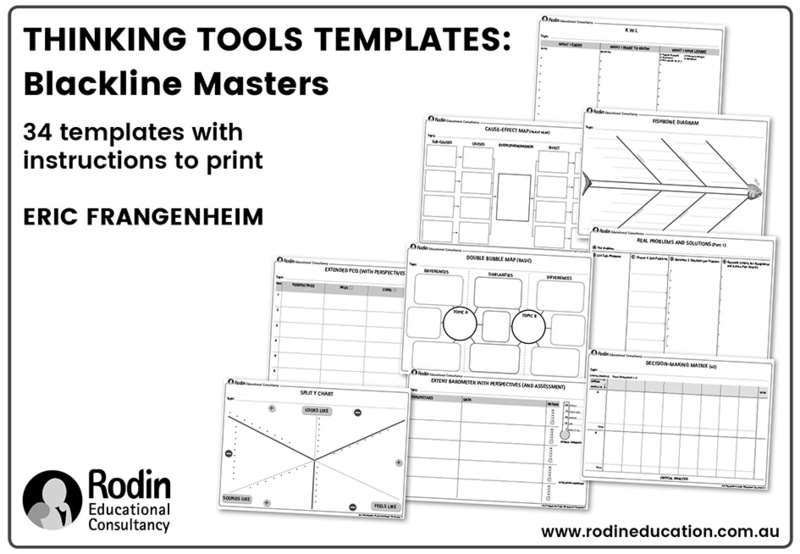 This Framework will not only help you as an educator simplify your lesson planning and assessment design, but also help your students to understand the structure of thinking (from foundation to higher-order thinking) and teach them to know when, how and why to tackle a task using the appropriate thinking tools.